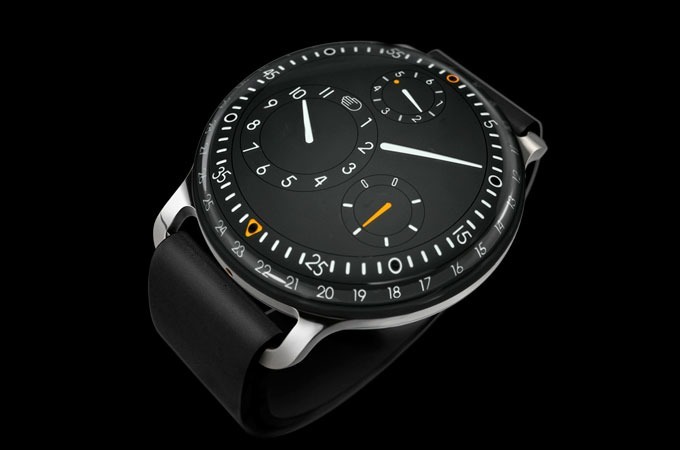 Though characterized by purity and minimalism, with the absence of the hands or a crown, the Type 3 by Ressence is anything but traditional. 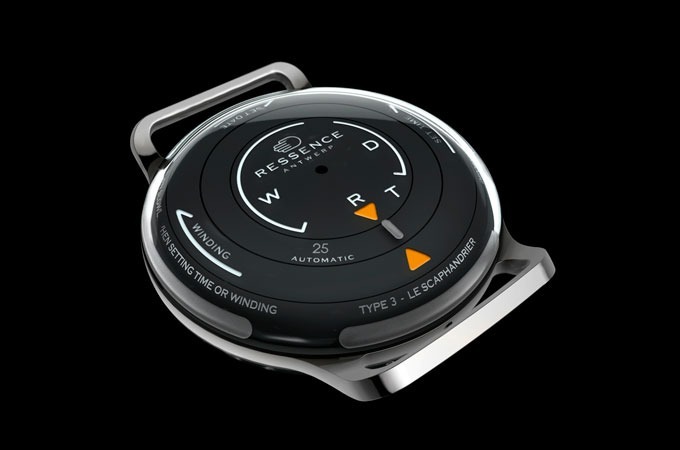 The dial of the watch is filled with an invisible liquid creating a 2-dimensional type appearance. 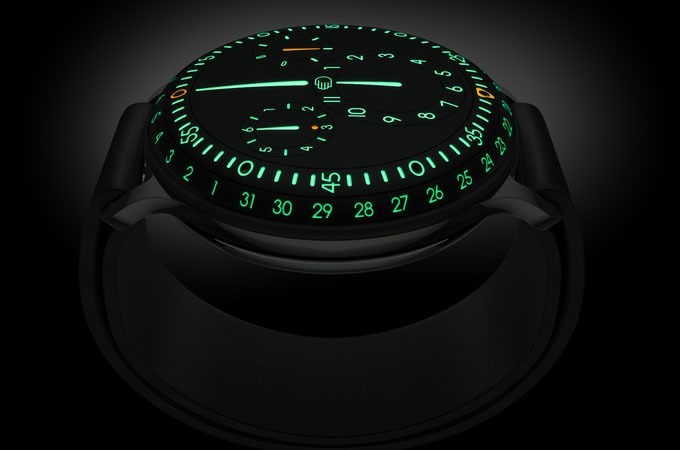 The high-contrast white indicators are engraved in the discs and filled with Super LumiNova, contrasted against the black dial, the indicators appear to be projected onto the top crystal as if onto a screen. Through the patented gravitational gearing system the 38 gear, 57 jewel automatic movement is sophisticated and elegant. All the components are titanium with the exception of the gears.